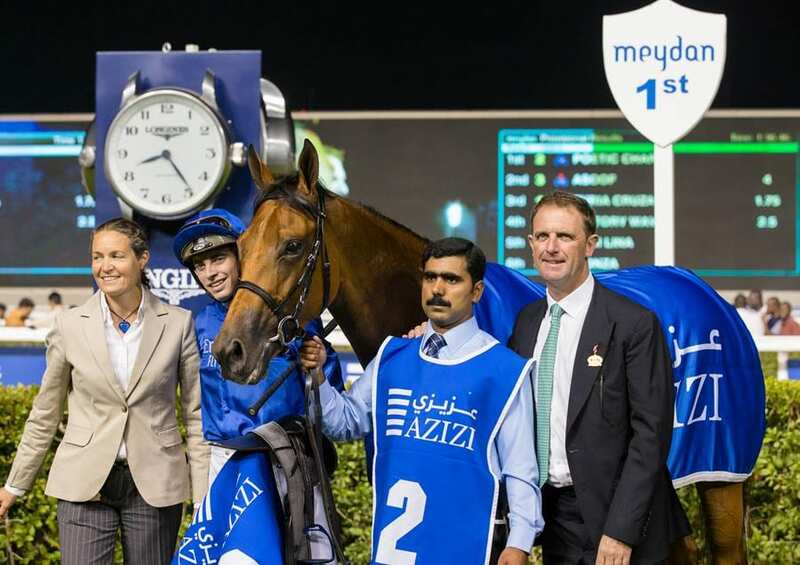 At the halfway point of the 2018-2019 Dubai World Cup Carnival, the jockey, trainer and owner standings are led by James Doyle, Charlie Appleby and Godolphin. While many of the top connections and horsemen are the proverbial usual suspects, they are closely followed by several who speak to the depth of this season's Carnival. James Doyle is leading the jockey's championship with five winners, including two Group 2 races for Charlie Appleby. He has already equalled his total tally for 2018. Connor Beasley is showing a tremendous run of form in only his second season riding in Dubai, currently in second place with four Carnival winners and an impressive strike rate of 22%. Christophe Soumillon, Christopher Hayes and Richard Mullen all boast three winners a piece. Notably Soumillon, no stranger to Carnival success, has finished in the money (top three) in 55% of his races. Team Godolphin's Appleby heads up the trainer rankings with seven Carnival victories, headlined by the Group 2 Al Fahidi Fort victor D'bai and Group 2 Cape Verdi winner Poetic Charm, over fellow Godolphin trainer Saeed bin Suroor's four. Local trainers Ahmad bin Harmash and Satish Seemar follow closely with three Carnival wins to their names. Of those with 10 runners or more, Satish Seemar's 27% strike rate outperforms Ahmad bin Harmash's 20% and Charlie Appleby's 19%. Sandeep Jadhav has sent out a pair of winners, joining the other two local trainers with four or more placings. Godolphin's 11 Carnival wins places them well ahead of local owner Sultan Ali, whose two wins are tied with Phoenix Ladies Syndicate. This entry was posted in People and tagged charlie appleby, connor beasley, dubai world cup, dubai world cup carnival, Godolphin, James Doyle, phoenix ladies syndicate by Dubai Racing Club. Bookmark the permalink.